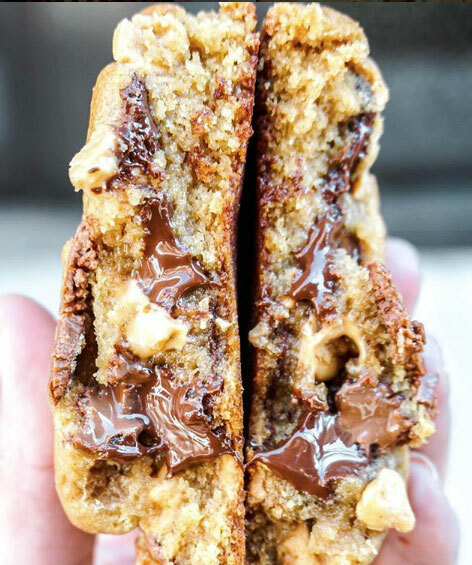 Gooey on the Inside was created by a self-proclaimed emotional eater and food obsessed Chic from Canada via the Caribbean. The journey all began for her from a 'compact' kitchen in a Chelsea apartment in NYC where she had this crazy idea that she could make the perfect cookie. One that was crispy on the outside and gooey on the inside. After countless go-arounds the proverbial “Gooey on the Inside” cookie was born. With a passion for all-things cookies, Kafi’s goal was to recreate these time honored classics and experiment with flavors and different ingredients in order to offer a unique take on an old favorite.